Need to contact Long John Silver's? You may have a hard time contacting the struggling chain. Currently 502-815-6100 seems to be the best phone number to contact them on. In 2011 LJS Partners LLC (a group of franchisees and investors) purchased the struggling brand. 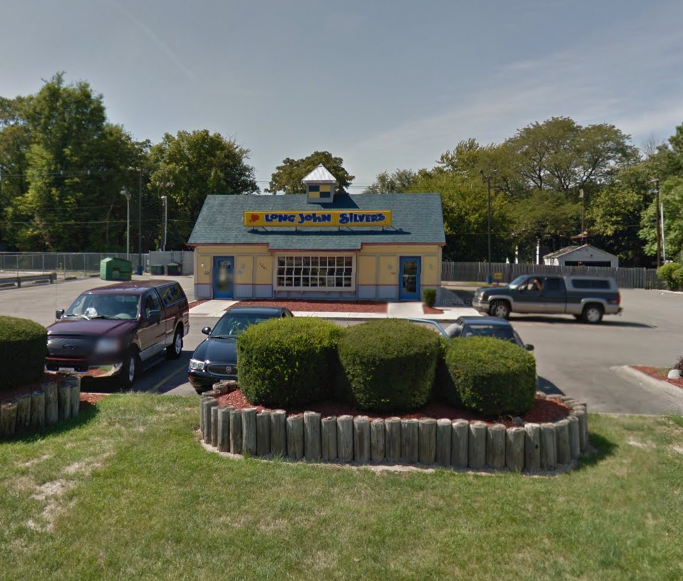 Long John Silver's locations commonly maintain nautical themes, blue and yellow Cape Cod-stye buildings, and a variety of seafood and chicken cheap platters that don't always maintain the best quality of food. The last known mailing address for the LJS corporate office is 9500 Williamsburg Plaza, Suite #300, Louisville, Kentucky 40222. You can use the official Long John Silver's Cares feedback form on their website to take a survey about your experience at your local restaurant, but you need the store number for the location visited. There is a location finder provided. The company is also active on social media. So, if you do not get a response by phone or email you can connect with them on Twitter or on their Facebook page. The first Long John Silver's (LJS) was opened in Lexington, Kentucky in 1969 by Jim Patterson with backing from Jerrico, Inc. that operated Jerry's Restaurants throughout the Midwest and Southern United States. The seafood chain quickly outgrew the Jerry's chain and in 1989 both were purchased by Yum! Brands, Inc. that operates Pizza Hut, Taco Bell, and other popular fast-food restaurants. In Marion Ohio went thru line and ordered fish dinner told the lady 3times that I wanted fish when I got home I found I had chicken called back the lady and told her she she said she was the manager I told her what I wanted she laid the phone down and never came back to talk to me. I visited a Long John Store here in Houston Texas.I went thru the drive thru which too 20 minutes before I got to the window. The store had only 2 customers and none ion side.After waiting for a long period of time I left. I later came back and went inside hoping this may be much quicker. Again I waited 15 minutes before I was waited on. The Gentleman that was in front of me Told the swing person as well as the person cooking, you have another customer waiting he replied.The person in back said if he really want the food he will wait. At that time I asked for the manager which wasn't there. I spoke with the swing manager about this person's unprofessional-ism. This guy said I don't care this is my last day any way. He was very unsanitary with the preparation of the foods. He repeatedly said I don't care this is my last day. Someone needs to get this guy out this store before someone becomes sick. This guy is very nasty in handling foods and talking to customers. I left the store refusing to purchase any food long as this guy is in the store. He is a heterosexual guy with white hair skinny and look sick. store number 700055, on West road and 45. Overcharged for clam's $3.00 for 6 clam's come on that's BS . Plus I ordered a piece of chicken to go with it wow it was thinner than my cell phone and extremely over cooked. What a big disappointment. I was promised a second interview with the owner of LJS.When I arrived the manger told me "I never said that and I told you to be here Sunday morning".The interview was scheduled for Sunday night at 6:00p.m.We agreed to schedule it then because I already have a full time job.I was looking for part time hours.I feel like I was discriminated against by your store manager.The zip code to your store is 45213.I do not appreciate the run around that she gave me.When I was discussing the so called"miscomucation" she proceeded to give me an attatude and then told me "It's not my fault".I have 15 years of experience at a pizza chain.I was also the first assistant general manager there.I would appreciate it if you would have a sit down with your store manager. LJS send me a gift card for $5.00 the card number is 6133 7238 7294 and the three restaurants near me don't except gift cards. This is my third time submitting this concern with no response. My area code is 92683. What's a person to do in this situation? We visited a Long John Silvers today Marchb5th 2019. Approx 7:30...Once at the counter we were told that the only thing left was Shtimp that they had no. Fish no Chicken norhing....They were cleaning the fryers and could only microwave so they had nothing...When we asked why he really had no explanation as to why.. Very disappointed in this. I have worked in cafes and fast food we always did our fryers in the morning...So here we are searching for fish on a cold night in Lincoln .....Very poor management and operations...Your employees not very respectful either bad service no people skills. Maumee ohio, employee very nice, food is always great, had my 7 yr old gson with me, he wanted 2 more pieces of chicken, gave him a 20, one customer was up there, he waited beside her, 2 other sets of customers came in, she said to my gson, next time you want something you go to the end of the line, I am at a table 5 ft from him, she said you got money, he gave to her, he comes back, I told him its fish, I took back up there, she said he asked for fish , I said no he asked for chicken, she stood there, she said what do you want , I said 2 chicken, she took the 2 fish, and kind of dropped the 2 chicken on the counter, I think everyone else was also embarrassed for me, it was a very unpleasant experience for me, I dont think my 7yr old grandson really noticed, or realized what had happened, i didn't appreciate the way she spoke to him, he was up there prior to the other 2 sets of people were up there, and then to ask me in a rude way, what do you want me to do, we want chicken, had I been 30 years younger, and not with my gson, I probably would have slammed it on the counter as she had, I have been at this location before and have never been treated like this, I sure hope this is an isolated incident, as I have always went out of my way for the food. I ordered an L1, they were quick to take my order and polite while doing so. Then we get to the window, they take our money and ask us to pull up since they're waiting on our shrimp. We do so. We waited about ten minutes before our food was finally brought out. That's fine. Then we drive the 20 minutes to the house and they didn't give us a piece of fish or the hush puppies. I feel after the long wait our order should've at least been correct. I call the store and the manager, Simon, informs me I have to come tonight or bring in my receipt. Fine, but their establishment didn't give me a receipt. So now I either have to go tonight or forfeit the food and/or refund. I chose not to drive the almost 45 minute round trip. Very disappointed in the service and the food. 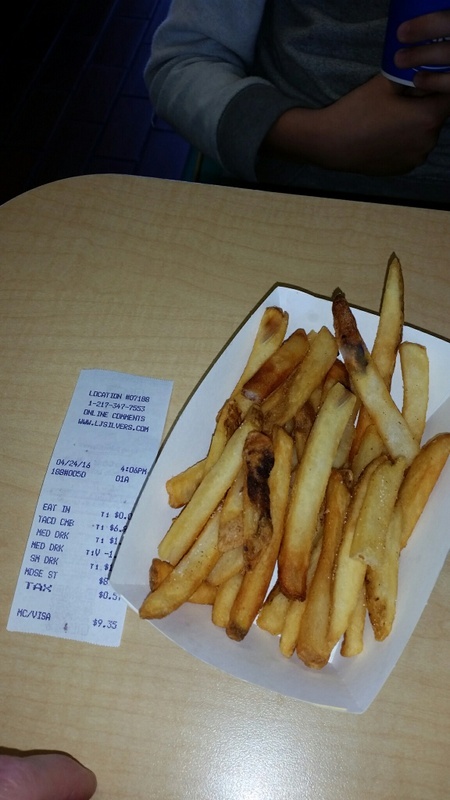 Food was old,it was not what we ordered at all,we were overcharged and didn't get a receipt.This was in the drive thru about 4pm today 2/1/19 at the Muncie Indiana Long John silver's.I've thought the restraunt had been pretty dirty.I forgot to mention our root beers were terrible very weak and watered. As a follow up to my e mails and phone conversation with manager, I believe that the order I received was not fully prepared, thus causing me to become ill, a trip to hospital, pharmacy medication, etc. After further consideration, I should receive compensation for the illness that I had to endure for the past 6 days. I sincerely believe that who ever prepared this food did not prepare the meal correctly. Got in line At 12:41 at store #9540 in Sulphur Sorings Texas in line 14 minutes ordered shrimp and fish basket with slaw and fries and extra crumbs, and an orange drink , got home opened box and I had 2 pieces of fish and 6 hush puppies ,I took it back and again waited in line another 10 minutes to get my complete order,this is not the first time they have messed up and we blew it off ,but when you don't get 3/4 of your order that's too much to ignore!! Very disappointed in this store!!!! I've been going to Long John silver fir over 50 years and this one here is the worst!!!! 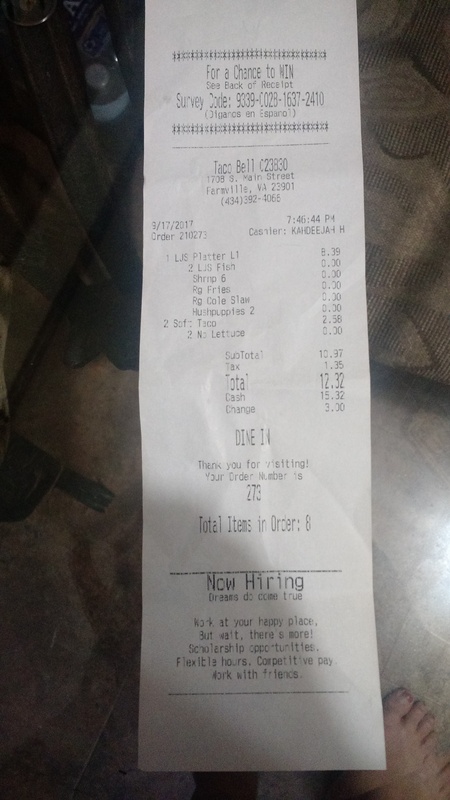 we eat at the russell springs ky location 3 some times 4 times a month,went in on the 3rd was told they were temp.not serving hushpuppies asked if we could subsitute for them or have some taking off price and was told no. They wanted us to pay full price for our meals which were going to be the fish and more meals even though we were not going to get the hushpuppies, needless to say we left and will not eat at that location again. No complaint, glad to see that you have changed your cold slaw. Best that I have eaten at a Long John Silver's. Took 20 minutes to get my food. They forgot the shrimp in my medal and the fish was not cooked fully. On Friday night Nov.23/ 2018 @ 7:34 pm I placed an order at the drive thru I ask which one of the meals I could order to get 3 pcs. of fish, fries, hush puppies and no drink she said #6 which said it was 3 pcs. of chicken but sometimes at other fast food places I have went it might say one thing on the menu but they would substitute if it was the same price etc. I kind of wondered about it and started to question it but I figured she knew her job and it was kind of busy so I just pulled up by the time I got to the window I didn't even think to ask about it because it had taken a while to get up there and again she should have known her job and I know without a doubt that I destinquely said fish I was on the pone with my husband when I ordered and it was his order he definitely would have said something to me had I not said the right thing. When I got home I gave him the box and he opened it and said these pieces of fish are smaller than they used to be he took a bite and said this isn't fish it's chicken so I told him about what was on the menu when I ordered and I ask him to make sure that I had said fish and he said "yes you did do you think I would have let you order chicken and not said anything" I said yes that's what I thought so I tried to call them I tried until midnight I called every few minutes and I never di get them by phone. My husband so the take-out box in the trash about 45 minutes or so ago and it is 4:30 central time here and he ask had I ever got ahold of them and I said no and I started calling again then I pulled up the website and got the numbers for the stores in marshall and Tyler Texas and I finally got one in Tyler to answer and I ask her why none of the rest would answer and her answers were they were busy or they were having technical difficulties "I thought really I wouldn't have even said that" but whatever but the point is I tried and tried to call never got an answer and my husband wants his fish but I want to know why besides the two answers I got ( and I would have been embarrassed to have given those answers)anyway I want to know why I had to resort to this instead of being able to call and get this resolved? By the way the hush puppies were very good as usual but they seemed extra good last night. The food was cold, cold chicken, cold fries etc. Also obviously a new girl at register and no one would help her. It was horrible! Paid 40.00 for awful food. There was only 4 of us and one ws a child 4 years old. I ordered the family pack with mix and match the chicken we were served was one regular size and 3 small nugget size . We paid 3.98 for 2 add chicken . I did not get what I paid for . the size was of 2 quarters a silver piece. It effected our dinner significantly. We have never had this problem before . to charge foe a 2 dollar piece and get a nugget size is fraudulent . bate and switch theft to customer . Gives the company a bad name . Its shocking that this could happen . We paid 32.00 for a dinner that did not pass . When pieces cost $2.00 each at size of nugget or equal to size of 2 quarters slot machine size quarters . I went through the drive thru for my order at the Long John Silver at 1100 Old Spanish Trail in Houston, TX; which is near my job. When i got to the window, the person who took the order had no idea what i had ordered. So i repeated it to her again. She said okay and then rang up the order (the Cod and Shrimp meal, coleslaw and hushpuppies with an add on of fried clams - $10.26) Because everything was just in the same box; including the coleslaw, i didn't realize until i got to my office that i did not get the clams. Also, she closed the window immediately after giving me my order and i did not get a receipt. So i googled the location and called the telephone number listed and it just rang and then eventually i got a "good bye" and the phone disconnected. I tried on two other occasions with no success. i then attempted to call the corporate number and it has been disconnected. After work i will drive back over there and see if i can get my money back because "to add insult to injury" the food that i did receive was not fresh or hot; but spongy. Do you people really care about what is served at your units. The Store in Oklahoma City at NW Highway could be the worst fast food restaurant I have ever experienced. I was at the drive thru and was there for 4 minuets until I got out of the car and walked inside and asked the manager if the speaker was working.......she said yes.....but I need to be patient because ...Sir we are busy. There was 2 people in the dining room and I was the only car in drive thru. Sooooo I pulled around and the girl at the window said sorry I didn’t answer you but I am having a problem talking. The reason she couldn’t talk or any one else in the restaurant was because everyone was so HIGH and geeked out that they were to parinoid to talk to anyone. This unit has always been in some kind of turmoil for the past several years. You may ask....why do you keep coming back. There is no other Fish & Chip Restaurant anywhere close....I keep hoping you people get it together........it will never happen obviously.. It just boggles me that such a large corporation let’s this happen. The Long Johns in Purcell, Oklahoma at mile marker 92 is run by the most friendly and clean personnel that I’ve ever seen. Why do you let this happen. It just absolutely blows me away with your ignorance of what happens outside of your Board Room. Wii’s you please contact me and explain why you let this happen. I went to the store at at 4670 West Broad street, Columbus Ohio (#70089) on 27 Aug.18. Ticket # 1162. I was very disappointed to find how much the quality had gone down in about all categories. .
1) I ordered the family meal 8 piece that has 2 sides with it. When I tried to order cheese curds with it, I was told I could not get them with that meal. The counter person just said they were told that by corporate and they would get in trouble if the did since the receipts would be checked. I settled for fries and onion rings, neither of them were good and were thrown away. Arby's is acrossed the street so I got the cheese there. 2) While the dining room looked accceptable my order was "to go" so I didn't eat there. I did note the dining room ice machine was in op as well as the Root Beer barrel, ( but the fountain worked ok to get some). 3) The waiting time was excessive to get my order, over 15 minutes. 4) the person cooking seemed new and should have had someone with him training him.He was clearly over his head which resulted in a complaint by the person before me who claimed the shrimp was over cooked/burnt and the fish was in pieces. THis altercation with your stuff resulted in a shouting match that grew to threats.. The police were called but the woman had left before they got there. I was sent coupons in the mail which arrived yesterday 7/25/18, I was in the area as this is now the only store within 50 miles of where I live. When I took this coupon in, I was told the would not honor it. the coupon was for a platter meal for $6.99, I was told the the had an in store coupon for a $1 off. Their regular price for the platter is $10.99. Please tell me how its fair for a customer that gets a coupon and the very next day store # 31872 won't honor it??? I ordered 2 piece fish (L4) at 12:11 PM on Tuesday the 24th of July at the Canal Winchester, OH, location. I was told to pull up and 'fresh fish would be dropped. It would take about 3 minutes." I pulled up and waited 12 minutes. I did not get the potato wedges I ordered, but I got cookies that I didn't. I also did not get any napkins, or a receipt, though I got a bag of condiments I did not request. It seemed my ordered was delayed further by waiting for a second customer waiting to have his food brought out to him when mine was brought by someone from inside. 12 minutes, for 2 pieces of fish, at lunch time? Unacceptable. Plainly, if you ever want any more of my money, you will send gift cards to correct this error. Otherwise, you have competitors will gladly take my money to instead. Alizay, manager of store 022091 (it also serves Taco Bell). I placed an order for 2 2pc fish one with corn and one with hush puppies. We received three boxes one had 2 p. Fish with corn. The corn was old. And the other two were fries and no fish. I had to drive back which was quite a ride. Alizay argued with me and said she made the order and had put fish in the boxes. I explained again that we didn't receive the correct order. I told her to get the fish and she refused. She yelled at me that I was being rude and therefore she wasn't going to serve what I ordered. She also banned me from the store. She also accused me of eating the 4 pieces of fish and trying to get free food!!!! I've never been talked to in such a rude and unprofessional way. When I asked to speak to the owner she said "he quit." My 12 and 19 year old children were with me. Plus she said you have a camera. You can review it and get back to me. I was not out of control and all I asked was for the food I already paid for. She demanded my credit card to make a refund and she asked for the food back. I placed it on the window and she accused me of throwing it at her. She was very rude and telling me I'm banned and never go back. I'm calling your corporate office and see what they have to say for Alizay, is it policy to be so rude and ban customers at LJS? Sent my husband to order food. I ordered 2 Fish and Chicken platers with cole slaw and fries, and another with 2 extra fish and chicken with green beans. He get's home and only one order was correct. When he called the restaurant back, there was not one bit of we're sorry. if you comeback we will replace the meal. Every time he goes to this location on Karl and 161 in Columbus, Ohio. It's the same issue! Long Johns in Chambersburg PA Store 70030 has the rudest person taking orders. Our first time there, and i can guarantee it will be our last time. We were not familiar with the menu, and she wasn't very helpful. She was getting aggravated with us as she had to ask us more than once what we wanted. Again, first time there, and LAST time we will ever go into that location again. I spent 17.88 just to be aggravated by her. I asked her if they offered a senior citizen discount and was advised, well its a little late for that now. Never offered to void and start again, just let us know that she had numerour seniors there that day. Get some people with personalities and know how to smile. You know what they say, a good experience no one shares, but a bad experience will be shared over and over. I will tell everyone I can how unprofessional your staff is. I used the drive thru at Moberly, MO on 3/25/2018. I ordered the Cod and Shrimp basket that was advertised on a flag outside the restaurant for $5.99. When I placed the order, the clerk told me it was $6.99 and I told her the advertising outside said it was $5.99, she once again told me it was $6.99. I think this is false advertising. There is still a flag outside advertising it for $5.99. Then I had to wait for longer than I thought it would be. The food tasted bad. It is normally very good. Hello my name is Christina I went thru drive thru at long john silvers in Lubbock Texas the drive thru experience was ok but the food was horrible! I bit into my chicken and it was Pink and the crust was still soggy ..it was nasty I have the receipt and I took a picture of it ..the manager didn't even say sorry or anything that's bad service.he looked at me like I was lying.i can get sick from that! Drive through ordered fries and slaw as side and got home no slaw. Called store wanted me to drive back 10 miles to get slaw right then and unwilling to do anything else. Worst fast food on the planet and worst customer experience! possible!! I would suggest anyone that goes here deserves this awful experience after reading this!!!!! Went to store 31531 it was dirty had peeling paint and workers were less than clean. Love the food but wont go back until the place is in bettet condition snd cleaner. I was treated poorly. When I called Friday no answer. Greasy food. Manager was very disrespectful and said she wasn't giving me anything with nasty attitude and eye roll. I printed a coupon that was for 8 piece fish or chicken, two sides, and 8 hushpuppies for 12.99. When I drove up to the drive through and placed my order the clerk said ok drive to the second window. When I got there two hispanic males were at the window ignoring me. I said may I get some help and one of them said we do not honor that coupon. We can do the order for 16.99. I was irritated and tired and said go ahead with the order and then he rang it up and said the total was 22.99. I asked what happened to 16.99 and they responded do you have the coupon for the 16.99 offer, and they both snickered and I told them to forget that I would never be back and that is sad because we love the chicken strips. I drove off and went to somewhere else and got supper. This was at 6:15 in the evening on 8-10-2016. I thought corporate should know how rude they were and they were having a laugh at my expense. My name is John Price, and I’m corresponding from Las Vegas, Nevada, concerning a very troubling experience I had at one of your locations. Let’s cut to the bottom line up front. I arrived at you location at 4855 Fort Apache Road Las Vegas Nevada 89147, 9:35 PM Sunday evening July 24, 2016. The drive thru order screen was not working, however on the internet it indicated Long John Silver’s is open until 11 pm and on the drive thru order screen, under the broken screen, the hours indicate until 10:30 PM. I pulled up to the window, behind a black SUV that picked up their order, and waited nearly 20 minutes before I got the attention of one of your female employees. The time was 9:55 PM. I mentioned the order screen was not working and she stated that it has been broke for awhile. She asked if anyone had taken my order and I responded by saying “no”. I asked if I could order and she stated, they automatically close at 10 PM. I stated it’s 9:55 PM and the sign under the broke order screen states 10:30 PM and the internet indicates 11 PM. Your employee then close the window and continue with her clean up. Hours of operation on the facility and on the internet should be corrected for this location. Because if they are beginning to close and not preparing food after 9:35 PM on a Sundays what about the rest of the week. I can understand since the employee appeared to be a child of 17/18 years, they may not have the customer service skills to offer a rain check. However, it should be noted in whatever training program provided by your organization, that your employees should be thoroughly trained on how to treat paying customers. We have been watching you TV adds and found one of your places in Pittsburg California, 2155 Railroad Ave. The phone number is 925-439-2101. We so much want a good piece of fish that we have had the pleasure of many times at other of your places, but this was the worst place I have ever seen. We are both in our 80"s so we are not making this up. We have been around for along time and know good food and bad food and this was bad the fish looked and tasted like it had been boiled in oil for a week, the fries were at the bottom of the barrel. The fries looked like they had been left over from last week. The place did not have any utensils, napkins, etc. The place should have been closed because of health reasons. Years past I ran a fast food chicken place out of Arizona so I have a little bit of knowledge of the fast food business, and this was terrible, you should really have someone from your office check this place out because I am sure we are not the first ones to complain. I should of taken a picture of our food but did not have a camera. I went through the drive-through and ordered a L6 with an extra piece of fish. I live about 30 minutes away from your store number 27992 The store is located in Decatur Georgia Farrington Road. The manager claim her name is Tosha which I did not believe, and the cashiers name was Valencia. They were very unprofessional and playing/joking around with each other inside of the drive-through line window. I think that is why my order was made incorrectly!! I did not receive my extra piece of fish, and I'm highly upset because I live too far away to drive back for extra piece of fish!! Instead of the manager saying she would replace entire order, she said she would replace the piece of fish. YOU HAVE got to be kidding me! Upon walking into this restaurant the Grease smoke was so bad, I should have just turned right around and walked out. I was hungry and wanted fish so I ordered a Fish Taco meal. The Fry's were burnt and over done! I asked the Server about the fries and he said that is how they come out. Ok? Of all the Long John Silvers restaurants I go to I have never seen fries like that! Why is my Home town LJS so Awful! The Lobby was dirty and restrooms I would not let my son use. I asked the Store Manager James about the fries and he argued and was confrontational about the fries being just fine in their burnt state. James then tossed them angrily in the trash can so me and my Son left the restaurant. Someone needs to clean this place up! I am a manager and I will tell you, that is no way to run a restaurant MNGT James is doing a poor job! I will not eat at my Home town LJS again! My family ate there tonight in paintsville ky and my husband got a bottle of malt vinegar he poured it all over his fish and ate it. After he ate his fish he had a funny taste in his mouth and he was looking at the bottle of vinegar and he notices something floating in it. 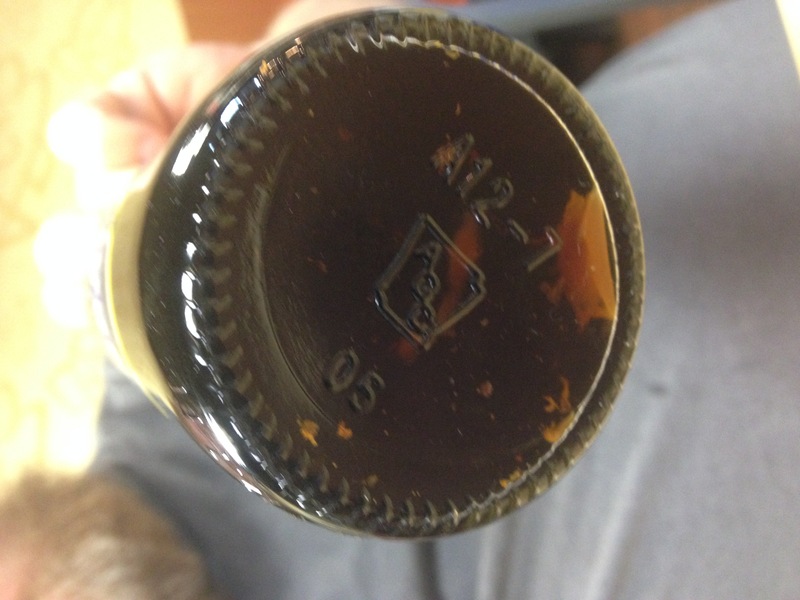 He held the bottle up so he could see what was in it and there was a lot of discussing stuff in the bottom of it. He took the bottle to the workers and they said it was day shift that filled them up and it wasn't there problem but they would make sure it wouldn't happen again. I do have a couple of photos. My husband got so sick of just wondering what was in that bottle. And what was in his stomach. Dining in my family and I got a 12 piece family meal. Upon ordering the cashier was rude and short. When getting the food the chicken was really small, McDonald's chicken nuggets are bigger then the chicken we received. The fish was hard like it sat there all morning...we went up and spoke to the lady at the desk and she said " yes that is how it is now. The upped the prices and made the food smaller almost like the cut it in half and made two pieces" this is the last time we will come to this restaurant... Store # 70023 in morgantown West Virginia! I would be shamed to be the manager of this store! We ordered the family meal of fish. My 4 year old son was enjoying his piece of fish and then he started choking. We took quick action and everything is fine, but we were in shock when we saw what he was choking on. There were shrimp tails in the fried batter. Not shrimp- just the tails. This is completely unacceptable, and the LJS website is completely unusable to try and contact someone. Hopefully this will reach someone. We are considering contacting our attorney. This food was from store #022048. Please see attached photos. I pulled up to the drive-thru and ordered a #6 with an extra piece of chicken. He read it back to me and said Shrimp. I repeated it again. He said it was 12.48. I got to the window and said, that's pretty high for what I ordered. He said you ordered 2 extra pieces of chicken. I ordered 1 extra piece... but I said ok I will take it anyway. I got it in my car and smelled fish. Thought maybe the grease needed changed. No, there was a piece of fish in it. I went back around and ask him how many times he can get one order wrong!? I ask for the manager.. he said he was the manager.. Well that's is even worse! When I looked at him.. I remember he did the same thing to me about 3 months earlier and I bit into the fish. I do NOT like fish.. this guy needs to be replaced. No where on my receipt does it say fish. I put the store number in the box and it wouldn't take all of it so here it is. G135266 on Federal Hwy in Stuart Fl. Yes we, my husband and I have always liked the fish there and decided to have dinner there Tuesday dec. 23 2015. both ordered a fish platter, well it was awful. the fish you could tell had been sitting there for hours. NOT fresh what so ever. WAY over cooked and looked like it had been sitting in grease for 2 days..which hope wasn't but sure looked it! I had to throw mine out, could not eat it. I tried but omg so awful. the employees were busy buying cheese cakes from some guy selling them off the street but in the store with them. I just can't believe the food quality given to us customers. It so turned us off! The Long John Silver's corporate office needs to hear this complaint. I ordered a shrimp meal and side order of chicken livers to go at Luray, Va restaurant the last week of October. they were sold out of french fries and when I got home and opened the boxes the food was so greasy and a dark brown from being cooked in old and rancid oil I couldn't eat it. I will have to think long and hard before I order anything from Long John Silver's & KFC again. This is a disgrace to serve the public food in this condition to save money on changing the oil. I went Long John Silver's on, Knoxville Peoria IL, 3 weeks ago was called "Bud" 5 times and received fish which was not fully cooked. I baked it when I got home. Today I went through the drive through window and asked that the fish be fully cooked. I was told to pull forward, and I did. I waited 5 minutes, then went inside to be called "Bud" 6 times. I was told that I requested fresh fish and I'm the cook today "Bud." The fish looked fully cooked when I opened the bag at Long John Silver's. I went home and the fish was doughy and not fully cooked, Bud. We have always been a fan of their fish and chips as well as potato wedges and visit often. This is the second time recently that we have ordered from this location and have had a bad experience. The first time was, so we thought, the luck of timing, staff, other issues. However, the second time was worse that the first. The food all tasted stale and overcooked, almost tasted like yesterdays fish and chicken. We decided to attempt to eat the food as we live several miles and didn't make sense to return, but in retrospect should have brought it back to the store as it was inedible. We will now be looking for another location for our fish and chips. I received my food and drove home. Food looked as if it had been dropped in grease twice. It was greasy. The fries were cold and the chicken looked as if it was freezer burnt. Thought I would letter corporate headquarters know that store #8035 has some serious problems, every time I go there I get the same results. I guess maybe I should stop? But I really like their food. Store: 31665 in East Liverpool, Ohio. 5/19/15. I ordered fresh chicken dinner and it arrived half cooked, the Cole slaw was sour/spoiled, and they Forgot hush puppies. Went up to get them and had to wait 5 minutes for someone to notice me. Cashier was busy talking to his family that was dining there. Asked to speak to manager. I told her that the same cashier had given his family a box of chicken without paying for it. Meanwhile, I was waiting for my replacement dinner. I had to take it home. Very unhappy dining experience.. This happens every time I eat there. Also, the floors are extremely greasy and dirty. Food was on the floors. Man taking garbage out of can then waiting on customers without washing his hands. Gross! Seats are all torn and split and duck taped to hold seat together.... Spend some money on this store!!!! Dirty, filthy, bad food, water on floors....the list goes on and on!!!! This theme repeats over and over again!!!! Fix it or close store. TV is on but not hooked to cable...spend the money and get it turned on!!!!!! My mother, son and I went to the location on Nellis and Bonanza on 5/7/15 @ 11am. The location was clean but there were only two people working. As soon as I got to the counter the order taker walked off and said she would just be a second. Leaving one young man in the kitchen area to not only cook the food but take orders for the front counter and drive through. I noticed that there were cars in the drive through and two other families walked in after me. In total it took about 15-20 for us to get our food. I didn't even see the lady return after we ate and left. On May 6th, I took my kids to LJS store number 31160 for supper. One thing we always look forward to is the hush puppies. But on this day, the store was completely out of hush puppies. Imagine our disappointment. We had been looking forward to supper all day. We knew we were going to get extra hush puppies besides what already came with the meal. I thought, Ok I'll get some corn in place of the hush puppies but I was told that the hush puppies are complimentary and therefore, there would be no compensation for the missing items from the meals we had ordered. This is wrong. It is complete crap. I wanted to cancel my order but my little 9 year girl wanted to stay. The food was horrible. It tasted like the oil hadn't been changed in a month, the soda tasted out dated and apparently the manager was on the way back from another store 2 hours away ... with more hush puppies. I don't know if I will ever return. I have NOTHING about the food or the service or the people. HOWEVER, your survey needs help! EVERY time I complete it, it asks about my "DRIVE-THRU" experience......even if I have dined in. You need to correct your survey! My food had hair in it. I bought it in the drive thru on my lunch break. When I got back to my office I noticed it and I called. No one ever answered the phone and after an hour I gave up. I just called an whoever answered the phone was really rude. I asked to have my food replaced but stated that I was never given a recent and she said that's my problem she wasn't replacing it. I set in the drive thru for at least 25-30 minutes tonight to get to the window and be asked numerous times what I had ordered got home to find the 2 pieces of chicken in the #7 but no fish and maybe 8 French fries which was one of my sides. I at this time will not be returning. I did not go back to the establishment to get the order corrected as I was treated poorly from the start and after working all day and being treated so rudely. I just made the decision to not go back. I frequent the place often and I have never had a problem before with the wait time the rudeness or my order being incorrect. I hope that they get people in that are going to be able to handle the job and that understand that customers are the ones that make their paycheck. I purchased a 2pc combo with fries, a clam meal and an additional piece of fish. After receiving my order I requested some cocktail sauce. I was told we don't have any & yes we run out of stuff like you do @ home. When asked if I could have my money back. He stated no. Never will I spend another dime @ this store. The store number is 32026 4101 S University Little Rock. Not only did I get poor service. The music was extremely loud & the workers were equally as loud. Laughing & joking. Not certain if this is how this business is supposed to run, but it's a disgrace to Long John Silvers everywhere! My husband loves the shrimp at Long John Silvers and he has to practically beg me to go, at least to the LJS in Morgantown, WV. It is soooo cold in there that I just cannot enjoy or force myself to go there. They have a big round heater on the counter when we were there yesterday and it wasn't even that cold outside. They had two there the last time, the one on the counter and one in the dining area, about a month ago and I know they were there before then as my niece had said they were there when she was there. I feel they surely have had more than ample time to have the problem fixed. I truly believe it needs a whole new makeover as it has been in that location for quite some time with no updates that I can remember...at the very least FIX THE HEAT!!! My children, and I visited the store 3470 Linden RD Flint, Michigan on 3/27/2015@ around 8:15pm. As we got closer to place our order all you here and see was two managers, male and female arguing so loud shouting profanity and all types of vulgar language. The female manager was really upset cause she was the most irate. All this going on while customers are dinning. I decided to just get our food and leave instead dinning in then on top of that I got all the way home to check or order and meals were missing items i was so upset when I called to let then know the order was wrong and I was comming back I get no answer. I called approximately seven times to no avail. One upset customer!!!!! Used the drivethru and first of all I could not get close to order as someone had parked their rv too close to the ordering place. So I could not hear v ery well and had to have things repeated. I than went forward to the food window and a woman\asked if I ordered the shrimp/fish basket. I held up my advertisement and said whatever this is. She reiterated that was the shrimp/fish basket and than muttered "my god". She has a voice like a fog horn so it wasn't hard to hear this. She said $4.23 and I gave her a $20 bill and 23 cents in change. She than commenced to short change me and slammed her window shut. I tried to get her back and finally she opened the window again and I told her I had given her a $20 bill and she said well she would have to do a cash out to see. She, however opened her drawer and said oh yes I do have a $20 bill I must have slipped it through the slot. I may be old but ii am not stupid. So she took the change b ack that she had given me and made correct change. I received no receipt and a different girl brought me my food. When I asked what the other womans name was she said I don't know. Well come on now. These two people work together and she does not know her name. I told her to ask and so the woman wanted to know who and the girl said this lady. Well the one with the fog horn voice said Harriet, but I would not put money on that. So I told the girl that I was taking a survey and wanted to get her name right. However with no recei;pt to use I had to come on the internet to make my complaint. This LJS is located in Inverness, Florida and I will not return to it. Thank you for the rant. Had dinner at LJS in Leavenworth KS (store # 31625) on 3/17/15, It was 4:30 p.m. My ticket # 3236 and I was the only customer in the store. I ordered a L9...the chicken was cold and the fries were rubbery and cold. This is the very last time I will eat at that LJS. I and my family have given it numerous chances, and each time it has been horrible. The help don't seem to care about service and the store is dirty and disgusting. I doubt if this complaint is going to do any good but I am not one to just let it go. 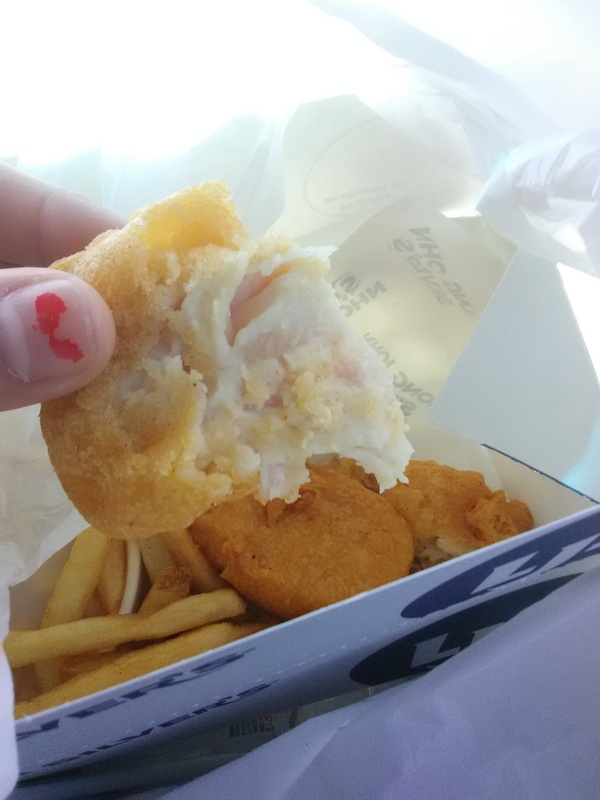 The Long John Silvers off of Dale bvd in Dell City, Virginia is berry dirty and Gross. It needs to be remodeled and is very dirty. I had a hard time eating in their restaurant. Please some one needs to address this problem. I ordered the baked fish dinner at the Alexandria, Ky. store today and it was terrible. It was white as snow, had no flavor whatsoever, filled my plate with water, and looked like it had been boiled instead of baked. I should have complained at the store, but they were busy and I was in a hurry. I took a couple of bites, ate my fries and hushpuppies and slaw and threw the fish in the trash. Please send me a refund. The Drive thru speaker was so quiet I couldn't even hear what she said, when they messed up my wife's order she went in to complain and when she told the manager about the drive thru girl being rude, the manager said "IT IS NOT POLICY TO REPEAT YOUR ORDER OR TELL YOU YOUR TOTAL" my wife then said well your not really treating me like a manager should, I'm calling corporate, and the manager at the Cincinnati Ohio Harrison Avenue LJS laughed in her face, and said I don't care. I went through the drive thru window on January 29, 2012 at 8:42 p.m. I had my 2 year old hungry grandson with me. I Ordered the 12 piece family meal. I said I wanted 10 pieces of fish and 2 pieces of chicken strips. With the 12 piece family meal you are supposed to get 3 sides. I ordered corn on the cob, cole slaw and string beans. When I Got home I realized I only had 6 pieces of fish and 2 chicken strips. I was short 4 pieces of fish. I also had corn on the cob and French fries. I did not order French fries. I called the number on the receipt and as usual they never answered the phone. I went back the following day. The young lady that worked there told me the manager was on his way. I waited about an hour on the manager. He never showed up. I took the fries back to LJS and she said the manager said she could replace the fries because I brought them back. She would not replace the fish that I was missing or the other side that I was missing. After waiting so long I left and went home. I went back to LJS today and the manager was there. I told him what happened. He replaced the fish saying I am giving you this fish because I don't know if it was missin or not. He refused to replace the missing side. He said I could buy the side. I told him that he didn't give me anything. I told him that I paid for that fish. I told him that God don't like ugly. He said everybody is always talking about God. I told him that I was going to pray for him. I also said I am never coming back. This is the LJS at 5504 S. Sam Houston Pkwy West in Houston,Texas at the South Post Oak intersection. I paid $27.05 for this order. I still have my receipt. My wife and went through the drive through today at the Long John Silvers in Athens, TX today and besides the lunch being with my lovely wife while our daughter slept in the back seat, there was no redeeming quality that will allow us to return to any LJS ever again. We both ordered the fish and shrimp platter and as fast as the service was, we should have known that they didn't have to do anything except plate our order and send it out the window to us, because there was not enough time to cook it. One of the platters didn't have shrimp. The Dr. Pepper was disgusting because it was mostly carbonated water. Last, when we got our food, it smelled like year old grease and cod stench. I could barely force down what I did manage to eat and we had to shorten our drive because it made us both sick. I used to like to be a loyal customer, but after today, I will not be able to eat from any location. Order was not filled properly missing some of fish missing some of chicken and missing hush puppies. When I asked Cassandra to please separate the order in to two different bags because they were going to two different places and stated only had one vehicle for both families living across town from each other. When Cassandra started bagging food she said out loud that she had 50 orders to bag. The other customers looked at her. She then put all of our order together. My son has a 8:00 curfew so we had to separate food. At one house then get home but while separating we noticed food missing that was the worst humiliating service we have ever had at long john silvers. Out of 40 years of doing business with this restaurant. Receipt # 1613 address 811 shorter avenue. Rome Georgia time of order 6:56 pm 2015-02-04 order was super sampler ckn plank fish pop shrimp 3b shp + sm slaw +md lj fries + sm hush pup b 2 pc fsh ml 2fish +sm slaw +md lj fries+sm hush pup b add fish 4 add ckn 3pcs ckn ml 3ckn plank + sm slaw +md lj fries + sm hush pup b f+s+c pltr ckn plank 2 fish 3 b shp +sm slaw + md lj fries +sm hush pup b tax $2.49 carry out $42.60 cash pre-keyed $50.60 change $8.00. went to long johns at sr 17-92 in longwood frorida. Ordered my food and paid the girl 6.90. about 10 min went by the girl said there waiting for fish to get fried, can i get you a drink for free i said no just want my food. another 5 min. went by and the manager came to the window and said can i get you a float i said no my lunch was almost over was very mad, had to get back to work told the manager just forget it and i left with no lunch and left with no food and out 6.90 . this is not acceptable never go back there again. Dear sirs This is the second time my order at this establishment was handed to me wrong through drine through window. Even though the lady asked me to repeat order I was shorted on my food that I paid for three fish and three chicken is not a eight peice meal. Dr peper is not a diet rootbeer and to recieve attatuide form the lady behind window is not acceptable. To call the store and be hung up on twice tells me there is a problem. So I’m left with this Hope you decide to corect this problem befor it gets worse, because this to me smacks of a racial hatered situation and having that implyed by you girl is just wrong. I ordered a set of lobster bites at your Newport Tennessee store. I paid $3.99 plus tax for 4 very small pieces. I ask your manager about the amount,’she said that they come pre package and that is the amount you get. I have ordered them before and got more then 4 pieces and the pitchure shows that you get more. That is false advertisement. And very disappointing. You should give more for the money or let people know what they are getting. Three different times in the last two weeks I have gone to long john silvers in wheeling wv and the management there need to be retrained or fired. They don’t care about there customers. The floors are always nasty and tables never wiped off. Me and my son went in there at 950pm on Friday the 28 of march 2014 and a bigger guy said they were closed. I said I thought they were open till 10pm and he said the friers were down. Then who ever was working in the back said im frying up my last two fish. If the fryers were down how can he still be frying ? One other time I was there in the last week and they have people not in uniforms going into the kitchen. Two other cars was there the same time I was on the 28th and didn’t get no service. I know the two that were in there a guy and a women not in uniforms were management and were waiting on the other worker two HURRY up and close. For what ever reason does not matter. I will never go back there again and I will tell every one I know about my very unhappy visits with this long john silvers. Until about a month ago the quality, quantity and service at this facility was great and we have driven a long ways just to eat at this particular Long John Silvers. About a month ago I stopped on my home , ordering 2 dinners L6 on their menu: 2 pieces of fish and two sides (we chose cole slaw and fries) with two hush puppies. When I got home we found only one small hush puppy about the size of a walnut in one of the dinners and no hush puppies in the other. In addition, when we opened the individual containers of coleslaw we found only a very small amount(not even half full). Since we have always gotten good service there I marked it up to the fact that they had two young workers that afternoon ( 5:30 p.m) so I didn’t complain. On the 20th of March we went to eat there at about 11:30 for lunch. We ordered the same dinners we always order. When they brought them to the table the hush puppies were puffed up, hard and full of grease. I took them back to the counter and the young lady said she knew about it and was frying more. In just a very short time another worker brought us 4 more. They were exactly the same. I broke one open and showed her the batter was very small and soaked in grease. She told me it was the grease they were using and walked away. We ate our dinners with no hush puppies and no further communication from either worker. At that time we made up our minds never to go back but on the 24th I decided to get a large coleslaw to go with BBQ from another business close to Long John Silvers. I got it at the drive thru jus like I’ve done so many times before. When I got it home and opened it, it was barely half full. I checked the date on the bottom and it was dated the 24th. I turned it upside down, shook it up ( because I know it sometimes settles) let the juice come to the top, turned it back up and it didn’t change at all. Thats three times in about three weeks and we can’t understand what’s going on but we won’t go back until we get some answers. They know us there by sight if not by name and they know we never complain. Friday went there for dinner ordered lobster bites and fish tacos, the bill amount to $32 other things were purchased, but thats not what was so upsetting, its the way the managers attitude at the register and when approach about what the food appearance and quality. He quoted as saying to my husband thats the way we serve it, go online and complain. And the most disturbing is my husband spilt my tray bringing it back from showing him and we ask for some assistance and Steve (manager) stated not our fault you spilt the tray. I could of went to red lobster for the amount of money I spent there and On top of everything my stomach was upset all evening. 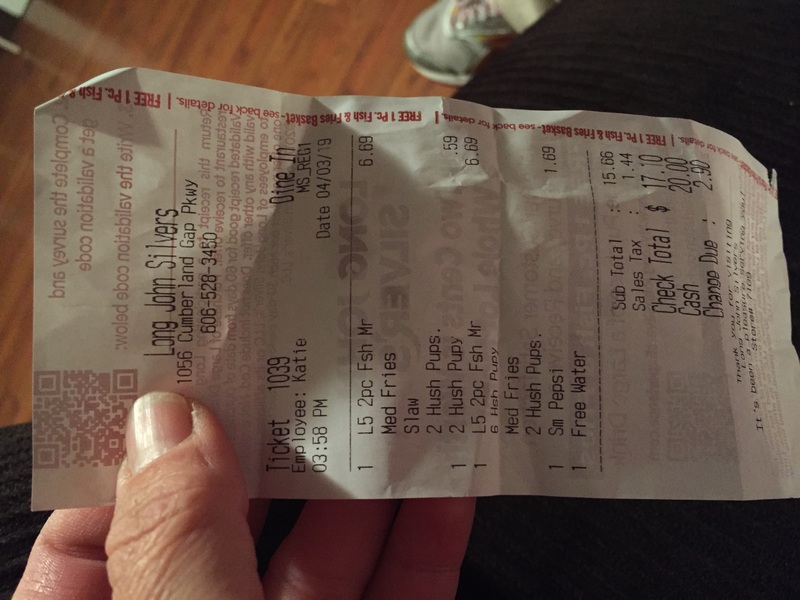 On April 11,2013 at 4:24pm I went to long john silver drive thru in stockton Ca 7567 Pacific Avenue ordered me fshckn.meal. when I pulled up to the window the young woman there by the name of Felicia H was not very friendly she hand me back my credit card without asking if I would like a receipt she then handed me my food and I was on my way. But then when I had pulled to the side to check my order I had received cold food and the fish and chicken had looked like it was sitting for while. When I went inside the store to let them know they looked at me as if I was wrong. Did not apologize just gave me some fresher fries and that’s was it. I’m a regular customer at this long john silvers and this had happened to me a few times but had not had a problem with receiving fresher food and the employees weren’t rude. Thank you for your time in reading my complaint. I hope to not have this problem again in the future. I went to the Long John Silvers on Polk in Dallas, Texas on Friday Feb. 3, 2012 I arrived there at 6.00 oclock on the dot and I waited in the drive thru line until 6:20 to have my order taken, when it was time for the girl to take my order (which was to be the thick cut cod)I was told that they did not have any ready and it wouldn’t be any ready for about twelve hours because it had to unthaw, I have never know any type of meat to take twelve hours to unthaw, now they knew that they had a special going on they should have been prepared better that what they were, I believed that I was lied to concerning the time that the fish would have to unthaw. I am still fuming concerning this it was bad enough that I have to wait in line so long but not being able to order just took the cake. I went to the Taco Bell/Long John Silver restaurant number 021481 on Baseline and Ellsworth in Mesa, AZ. on August 26th. I went through the drive thru. I order 5 soft tacos and 3 crispy tacos along with a green bean burrito and a triple steak burrito. Everything was fine until I got home and found that they had not put the burritos in the bag. That was $5.97 worth of food that was missing from my order. I called the number on the sales slip and got their voice mail. I left my name and number and explained the problem. I then wrote an email to the address at the bottom of the sales receipt and again, explained the problem. Have not received a phone call or a response to my email. I wrote a second email and again, explained the problem and that this was my second attempt to let someone know. Nothing again. It is obvious that the ownership or the managers at this establishment could care less about a customer’s complaint. I would say that I will never go there again but I do not think that they really care one way or the other. 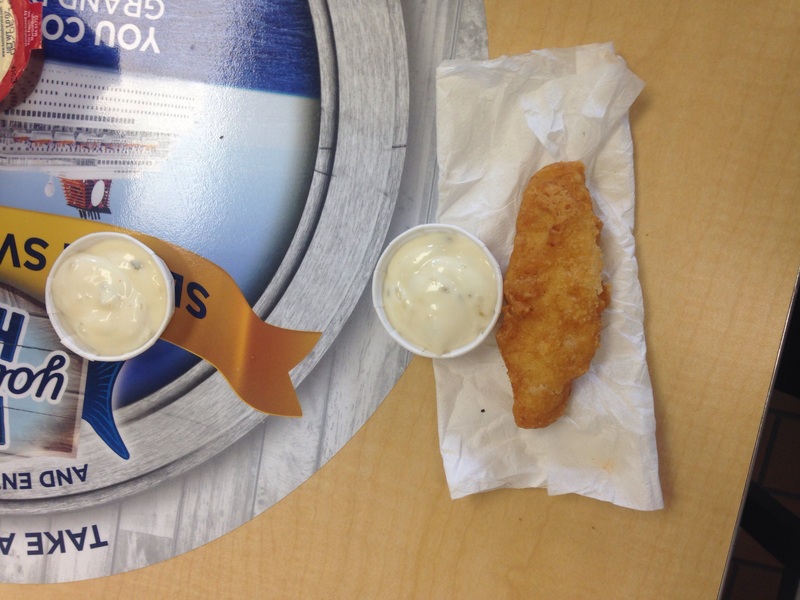 Have feedback for Long John Silver's?